● Is your diet killing you? ● Is vaping causing seizures? In a win for people power, the Australian government has been forced to rethink its controversial ban on private health rebates for a wide range of natural therapies following a public backlash. Health Minister, Greg Hunt announced a review of natural therapies including an update to its 2014-15 review of natural therapies. The news has been welcomed by natural health advocates across the country who have vowed to maintain pressure on the government to reinstate cover for natural health therapies. We have long supported an approach that puts citizen empowerment at the centre of health care. To encourage people to take control of their own health is both sustainable and the key to reducing the burden on overstretched healthcare systems and budgets. Read more in our blueprint for health system sustainability. The reason why children develop autism has confounded many experts over many years. Steeped in controversy, rates of autism have continued to rise at alarming rates over the last 30+ years. The latest figures from the US Centers for Disease Control and Prevention (CDC) put rates at 1 in 59 children with predictions that rates may climb to 1 in 2 by 2025. For many years natural health and integrative medicine practitioners have found that improving gut health for those with autism or diagnosed with autism spectrum disorder (ASD), can result in significant improvements in symptoms. In a follow-up to a previous open-label trial using Microbiota Transfer Therapy (MTT), a type of faecal transplant, researchers found a 45% reduction in core ASD symptoms, with benefits remaining after 2 years. Lead researcher Rosa Krajmalnik-Brown is quoted saying, "…many kids with autism have gastrointestinal problems, and some studies, including ours, have found that those children also have worse autism-related symptom. In many cases, when you are able to treat those gastrointestinal problems, their behaviour improves". Along with changes in diet, such as elimination of gluten and casein containing foods, MTT provides another tool to help parents battling with the day to day challenges resulting from an ASD diagnosis. A new study published in The Lancet, has highlighted the need for a global improvement in diet. The study claims that, “In 2017, 11 million deaths were attributable to dietary risk factors" and that a suboptimal diet is responsible for more deaths than smoking fuelling provocative headlines. The study identifies diets high in sodium, low in wholegrains, fruit, nuts and seeds, vegetables and omega 3 fatty acids as being responsible for multiple health impacts, which is really not news for anyone involved in natural approaches to health creation. However, this large epidemiological study which assessed data, from multiple sources, across 195 countries, focusing on the intake of 15 foods/nutrients may well be the shake-up that authorities need to spearhead essential change. As the researchers make the connection between poor dietary choices and non-communicable diseases such as heart disease, diabetes and cancer. Although a study of this nature might not prove conclusive cause and effect, it can demonstrate associations between dietary factors and disease risk. Unsurprisingly, given how emotive the subject of diet and health is, questions have been raised over the methods used and the level of assumptions made, casting doubt on the veracity of the paper’s statistics. There are few who would argue that what we eat (or don’t) has a substantial impact on human health. However, whether this study has flaws or not, making the right diet and lifestyle choices for health creation and disease prevention is a sound strategy in any event. For more information on how to eat to positively impact your health, visit our Food4Health campaign page. UK Health authorities continue to promote the use of e-cigarettes and vaping as a healthier alternative to traditional cigarettes. However, the US the Food and Drug Administration (FDA) has received reports of people suffering seizures following vaping. Of the 35 reports received most were in adolescents and young adults. The FDA has stressed its not yet clear whether vaping is to blame, but such is the concern it’s encouraging the public to report any information they may have. With the decline in traditional smoking Big Tobacco companies have poured huge resources into the promotion of vaping, despite growing evidence of harm. With Monsanto being dragged through the courts, attention has been focused on links between glyphosate-based herbicides and cancer. A new study brings attention to the toxicity of 2,4-D, one of the most widely used herbicides in the world. The study conducted in mice showed the ability of 2,4-D to disrupt the gut microbiome at doses below regulatory permitted levels. The balance of which is now known to be crucial to health. Many crops are routinely sprayed with multiple pesticides and herbicides, but little is known about the harmful effects of exposure to these cocktails of chemicals to humans and the natural world, let alone when we are exposed to combinations of multiple pesticides. Going organic where you can is highly recommended, especially for children and the vulnerable. 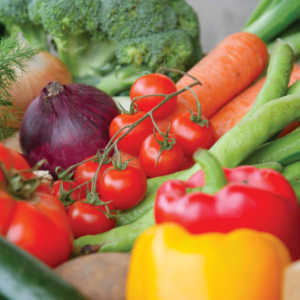 The US EWG’s Dirty Dozen and Clean Fifteen lists are also very helpful when choosing which vegetables and fruits really do need to be organic or avoided. "We have long supported an approach that puts citizen empowerment at the centre of health care"
Why not simply oppose can call out disempowerment for what it is? Our language frames our perception and response. Knowing that is power - but not OVER anything. Only the disempowering seek power OVER life and hide it in a protection racket. Mind capture - or market share - is a way of falling asleep to the use we are putting the mind to. This by the way goes deeper in our psyche than the specific agencies of our time.